HyperXtrude® 2015 introduces a new CAD interface for HyperXtrude solver and takes a giant leap to a direct CAD to solution approach. Meshing and data deck creation is handled automatically in the background with no user intervention. Hence, users can submit the analysis after creating the CAD model. HyperXtrude Introduction Video Watch this quick introduction video to learn how HyperXtrude can help you. Today's extrusion companies are forced to produce a higher mix of complex profiles in shorter product development cycles while simultaneously reducing their production costs. 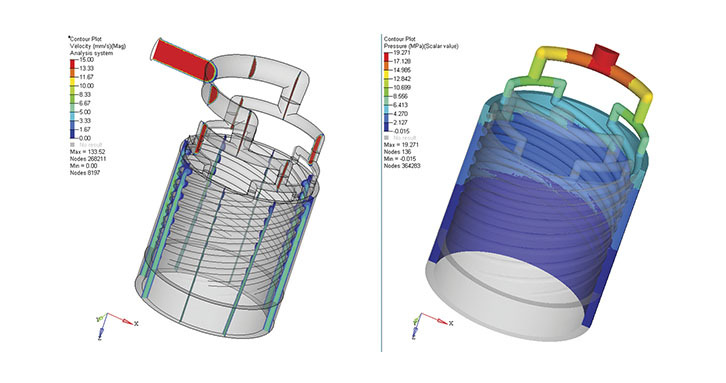 HyperXtrude is a simulation environment to meet these needs and increases productivity by analyzing and optimizing extrusion dies, and process conditions. 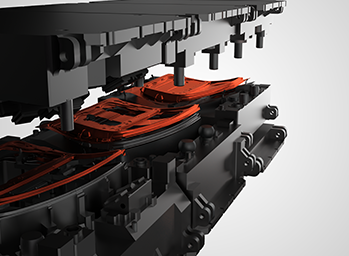 HyperXtrude is like a virtual press where the user can visualize material flow and temperature inside a die during extrusion, and make necessary changes to ensure balanced flow and eliminate product defects. 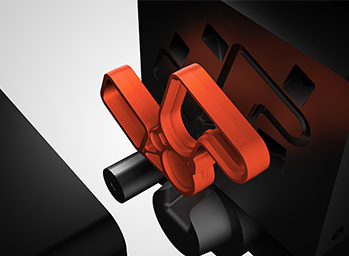 HyperXtrude helps reducing costly die-trials. HyperXtrude is widely used in the extrusion industry and since its inception in 1999, its development is driven by the industry and customer needs. HyperXtrude® 2015 introduces a new CAD interface for HyperXtrude solver and takes a giant leap to a direct CAD to solution approach. This approach automates and hides the meshing and data deck creation, and completely relegates it to the background. Hence, users can submit the analysis after creating the CAD model. In this release, interface for steady state, transient analysis, bearing optimization and tool deflection for metal extrusion is supported. 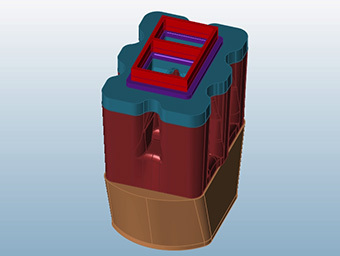 HyperXtrude offers an analysis tool for virtual testing, validation, correction, and optimization of extrusion die designs. 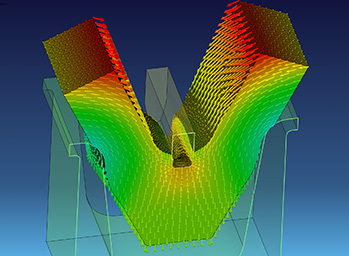 Robust, reliable and efficient computer simulation provides insight and direction before cutting dies and press set-up. 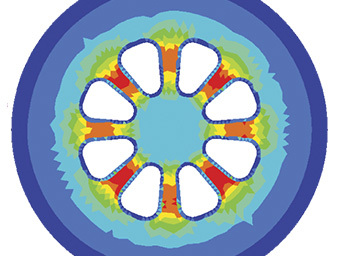 Accurately predict tooling deflection and stresses due to extrusion loads to optimize die designs. Visualization of complete three dimensional model helps in understanding die behavior for various process conditions. Calculate transverse weld length to minimize weld scrap. 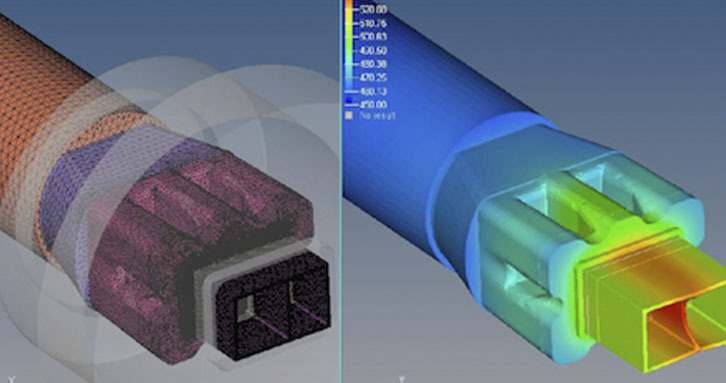 With CAD to solution approach extrusion analysis can be performed easily and with quick turnaround time. 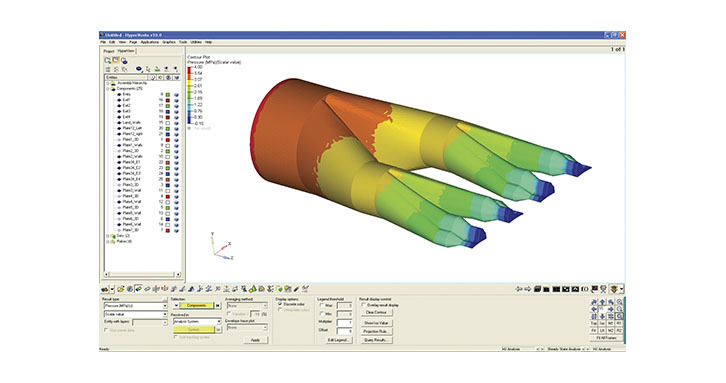 Virtual extrusion simulation will speed up the design optimization and also reduces time consuming die trials. 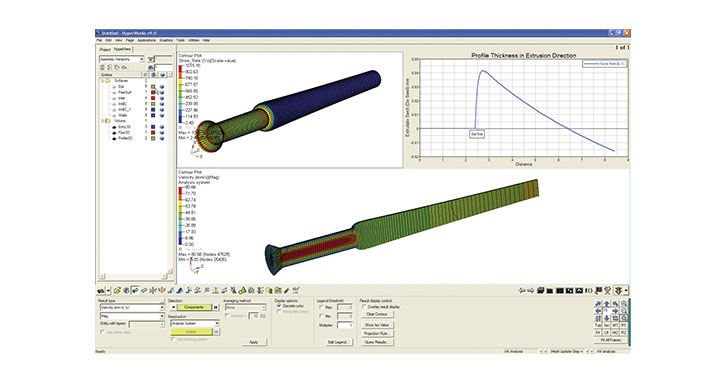 HyperXtrude is a CAE tool used for virtual testing, validation, correction, optimization of extrusion process and die designs. 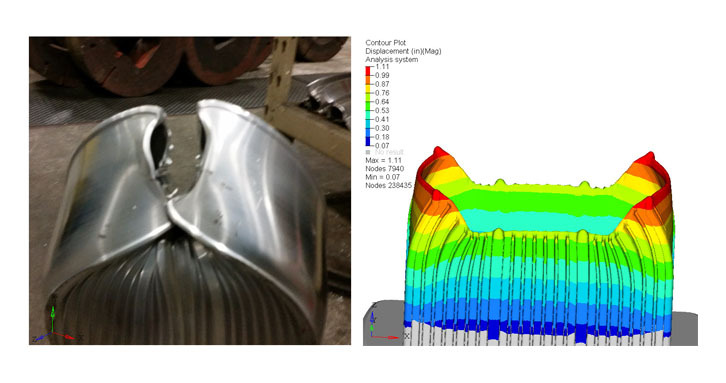 Using HyperXtrude's broad capability set, engineers can identify design errors before they become costly problems. 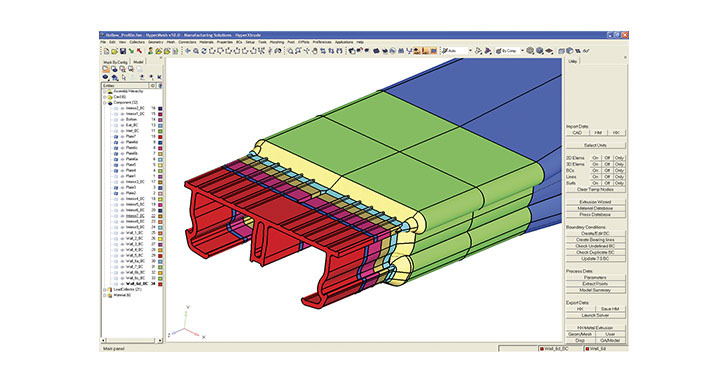 The HyperXtrude 2015 provides a CAD interface that can automate and hide the meshing and data displays, relegating them to the background and speeding pre-processing.